The Dog Tag Art Looks great on the Lupine collar! 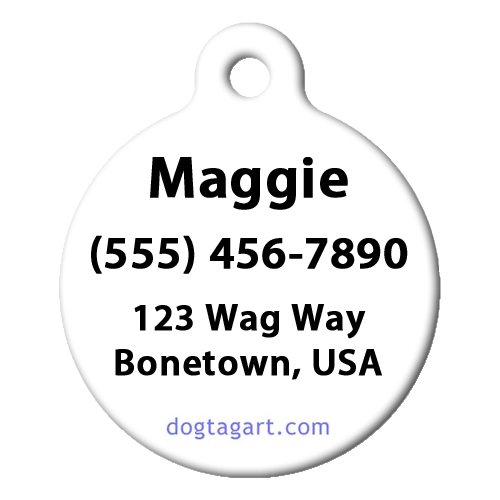 It’s a heavy weight tag that has the pattern on one side and the reverse side is white with black writing for the personalization. It seems very well-made and should last a long time. It even came with a glow-in-the-dark dog tag silencer that can fit around the edge if desired. Love it!